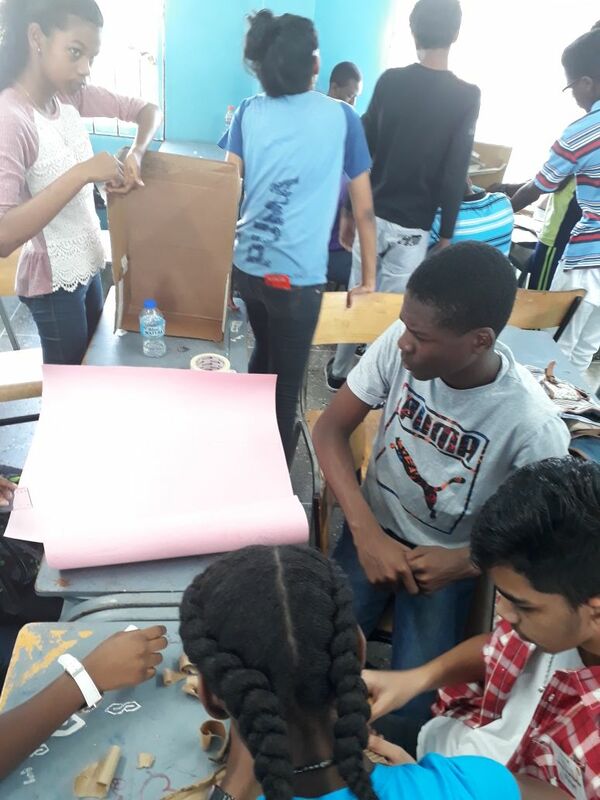 Cowen Hamilton Secondary School - Sacoda Serv Ltd. 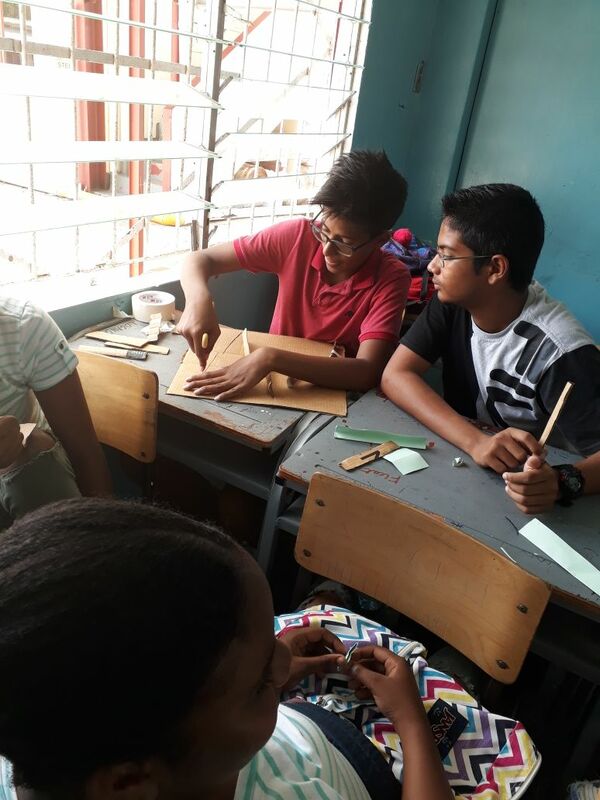 The students were divided into two groups, the first, Group 1 comprised of the Form two (2) and Form three (3) students of Cowen Hamilton Secondary School and the students from Central Block Bursary Programme. The second, Group 2, comprise of the Form one (1) students of Cowen Hamilton Secondary School. The second session was facilitated by Ms. Alana Jute a representative from the Information Department of the Institute of Marine Affairs who focused on Marine Biology. 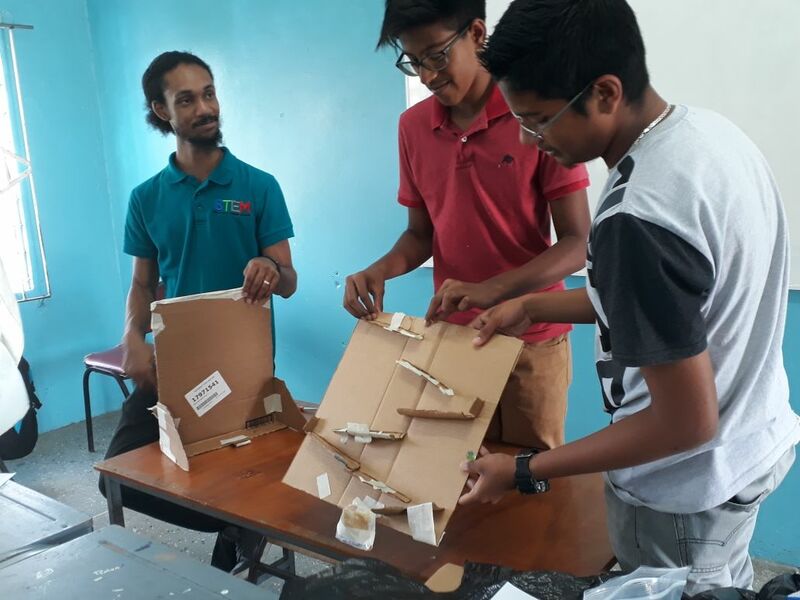 The students learnt the Importance of the ocean and careers in Marine Sciences and Maritime Studies. 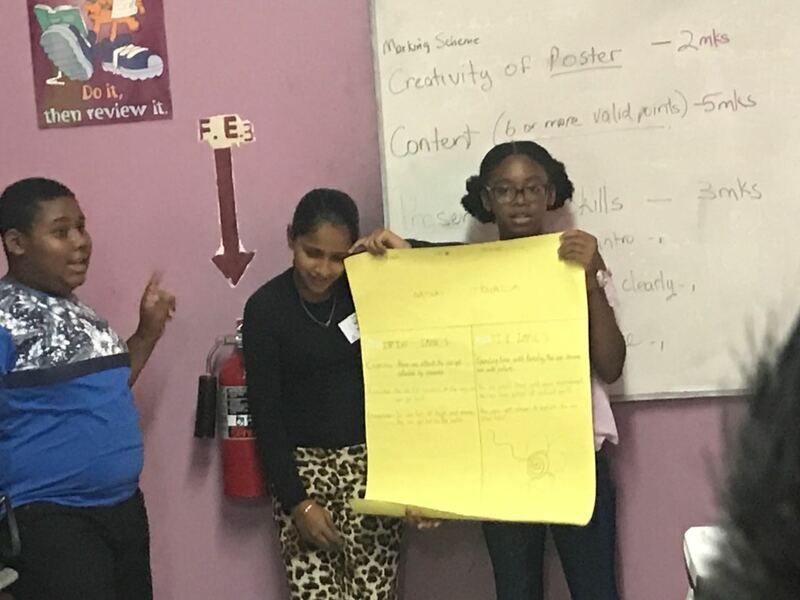 In this session the students were exposed to various types on Marine science and careers in the various fields such as zoology, fisheries, oceanography, biology, marine biology, and biological oceanography. 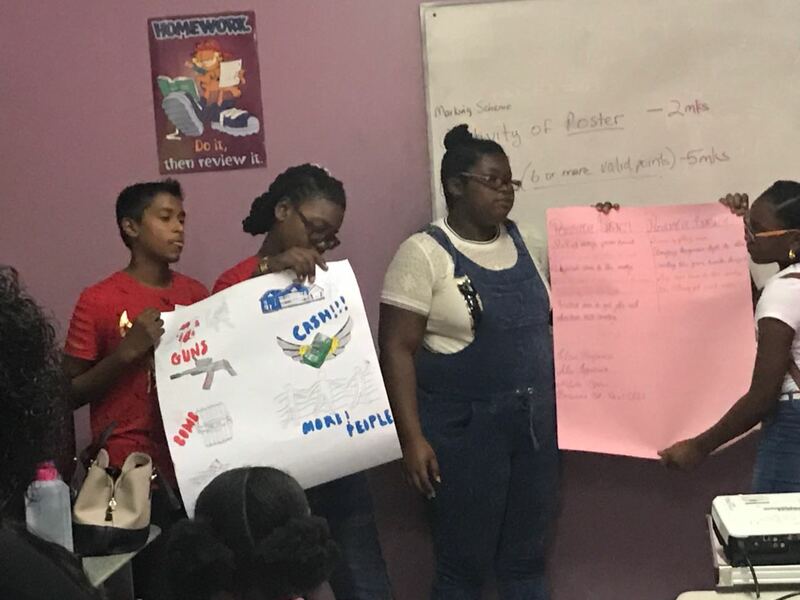 A video was also shown on the exploration of the Caribbean ocean, the students then created food webs for mangroves, sea grass and coral reefs and presented them to the class. 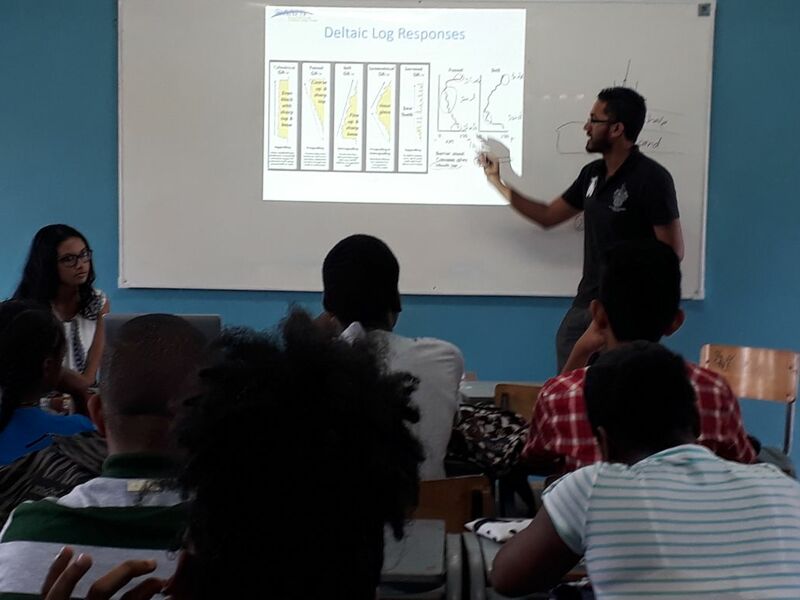 The Petroleum Geology session was led by a member of the American Association of Petroleum Geologists (AAPG) Trinidad and Tobago Chapter, Shaliza Ali and Amrit Cooblal. 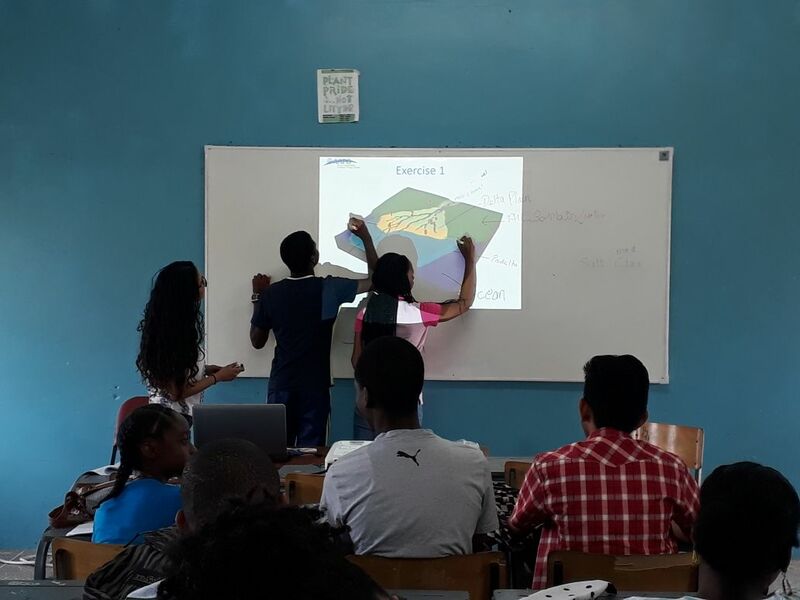 In this session the students learnt about Deltas and Sediment Deposits and identifying types of rocks using radio-activity. The facilitators also conducted a recap on sorting different sized grains and how they are transported, porosity and permeability, how much oil a grain can hold and how much can be collected. 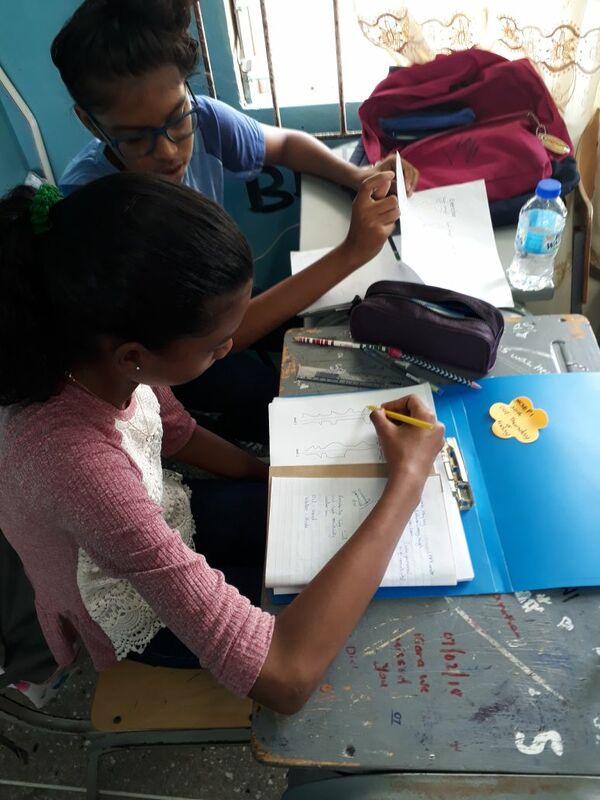 With the use of diagrams the students identified the different elements found in deltas, theirs shapes and the sediments deposited. The students then practiced identifying rocks based on their radioactive readings. 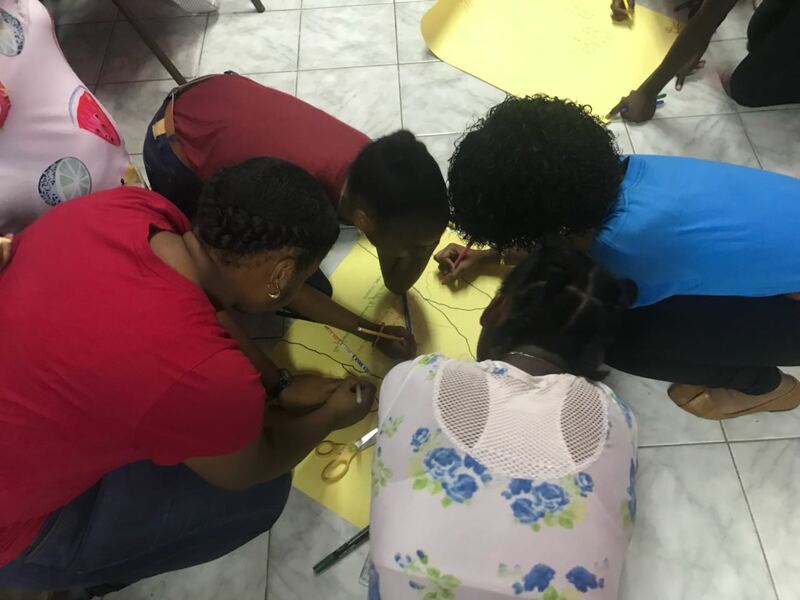 At the end of the session the students were able to identify different types of rocks and various sediments as well as where to drill for oil. 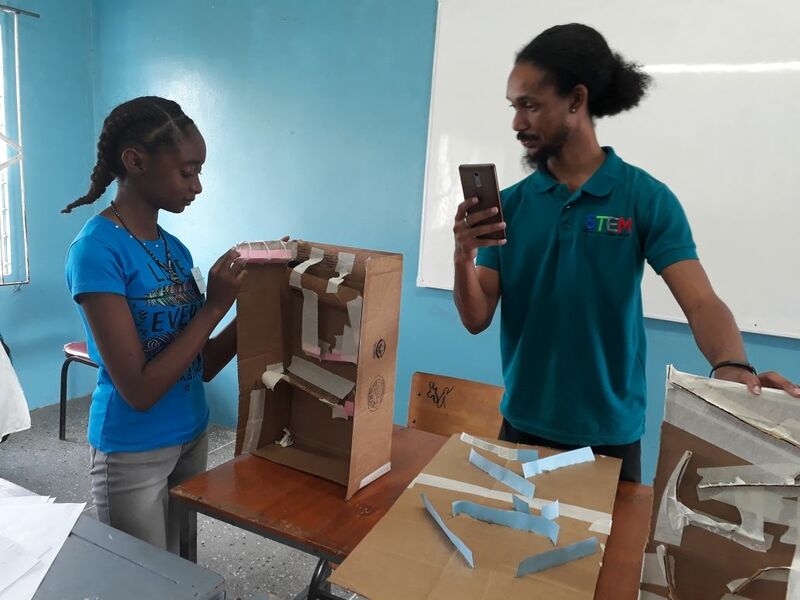 The STEM Challenge – Marble run was conducted by Khion De Las. 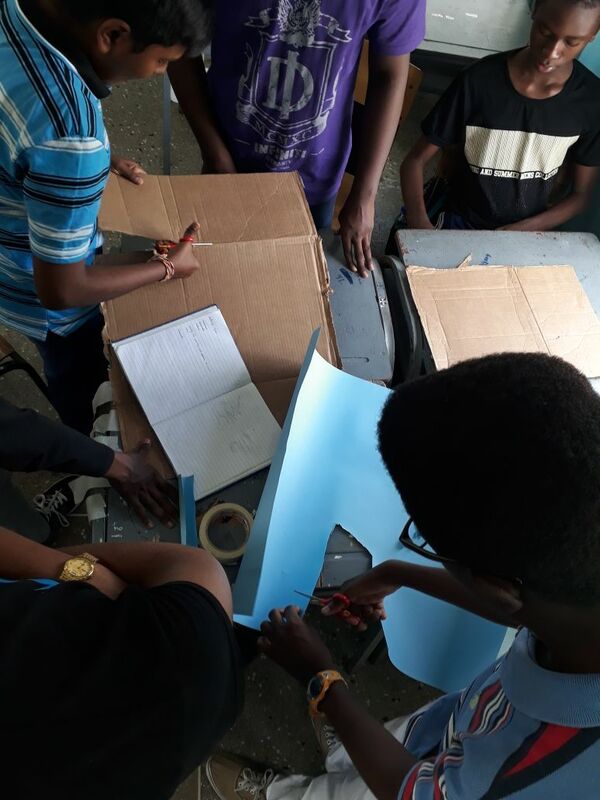 The students were challenge to create maze the will effectively slow the pace of a marble on its course. 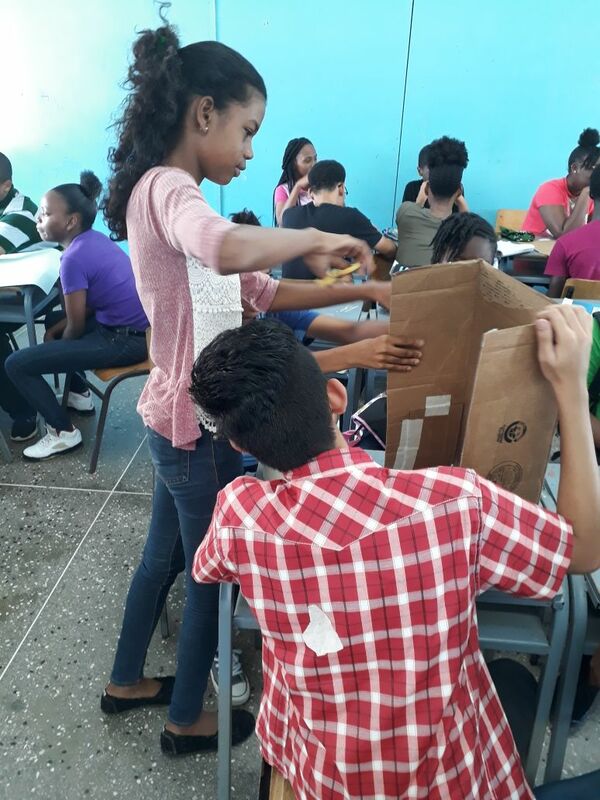 The students were divided into groups to engineer the maze with the use of cardboard, bristol board and tape. The maze consisted of tracks that kept the marbles on its path before the obstacle was completed. 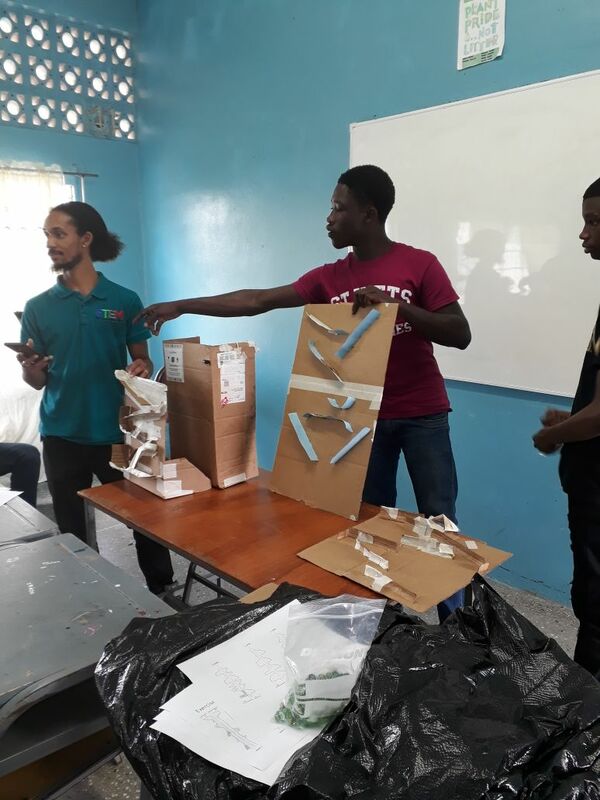 To add to the difficulty the marble must run the course for one minute at the end of the session the students raced against each other and a winner was chosen.